Look who visited us last week! 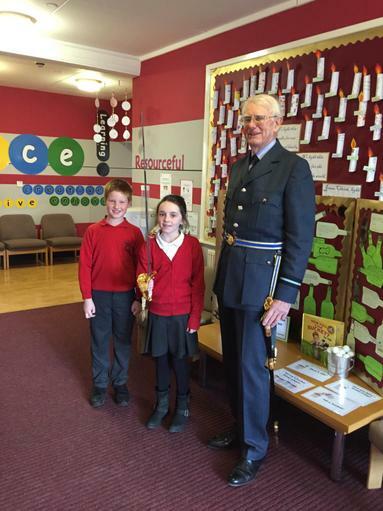 We had a super visit from the High Sheriff of Rutland last week, Air Commodore Miles Williamson-Noble! He answered our questions and spoke to us about The Great War. He brought us some fascinating military artefacts to look at, and explained about his role as High Sheriff of Rutland. Thank you for visiting us - we loved meeting you!